Since its inception in the 1970’s, EarthSpirit has worked to preserve and develop pagan culture – to bring forward pagan concepts and attitudes for living in the present age enriched with the music, art, theater and ritual that enliven us as human beings. When the community comes together it is clear that our connections are strong and that we share traditions and underlying values, but EarthSpirit also carries that culture out into the world through writings, recordings and traveling teachers for any who wish to learn more. We engage with people of different traditions and ideologies, provide opportunities for shared spiritual experience, and invite those who feel a connection and would like to be a part of EarthSpirit to join us. This blog-style online journal features articles, art and poetry from over thirty EarthSpirit members and friends. With features about sustainability, spiritual practice, drumming, gatherings, rituals, the Parliament of the World’s Religions, seasonal celebrations and more, this is a wonderful resource for those who would like to know more about and feel more connected with the EarthSpirit Community. If you have an article to submit to the editorial team or would like to become a contributor, please send your inquiry to earthspirit@earthspirit.com and include “Voices” in the subject line. 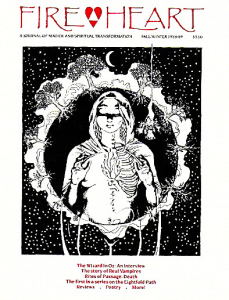 Published by EarthSpirit between 1988 and 1993. While the magazine has ceased publication, many of the articles remain of current and historic relevance and interest. Articles cover topics such as from Handfasting, Eightfold Path, Birthing, Death, and Pagan Clergy as well as interviews with some of our elders. We recently added two previous interviews with Margot Adler and Starhawk. MotherTongue is EarthSpirit’s ritual performance group which brings together vocal and instrumental music, dance, poetry and story to create moving and potent ritual performances for a variety of audiences. The ensemble has been featured at numerous Pagan and interfaith events around the United States and has performed twice at A Parliament of the World’s Religions, both in Chicago and in Barcelona. MotherTongue has been known for its ability to communicate the essence of earth-centered spirituality in a manner that makes it accessible to people from all backgrounds and traditions. This is a collection of chant lyrics that are used at EarthSpirit events and elsewhere which we are posting to help share the abundant creativity within our Community. You will notice that we may not have all of the credit information for all of the chants. We would appreciate any assistance that you can give us in obtaining that information. The astrological almanac by Miriam Klamkin, which first started in the EarthSpirit Newsletter, has continued yearly online at our website. As part of its founding in 1990, EarthSpirit members Morwen and Jimi Two Feathers conceived of Earth Drum Council as a place for the drummers of the EarthSpirit Community to drum and dance together, hone their craft, and return in service to the community. They continue to hold monthly Drum and Dance events in Concord MA. The Brotherhood is a men’s group that has been gathering within the context of Earthspirit events over the course of the last 13 years and is now spreading its tines to become a full-time entity to support each other & the larger male community. The Brotherhood of the Stag and Wolf promotes a mindset of responsibility for our actions, and ownership of our identities, as men in a world that often sends conflicting messages about what should define a male persona. SpiritFire Festival was created by Josselyne Price and Steve Trombulak, longtime EarthSpirit members. It grew out of the Sacred Fire Circles at EarthSpirit’s Rites of Spring. Now in it’s 15th year, SpiritFire is a five day ritual retreat-style gathering held each summer in New Lebanon, NY where participants celebrate life and spirit through the pathways of music, movement, voice, Seva (or service), and the Mysteries, focused in the medium of the sacred all-night fire circle.